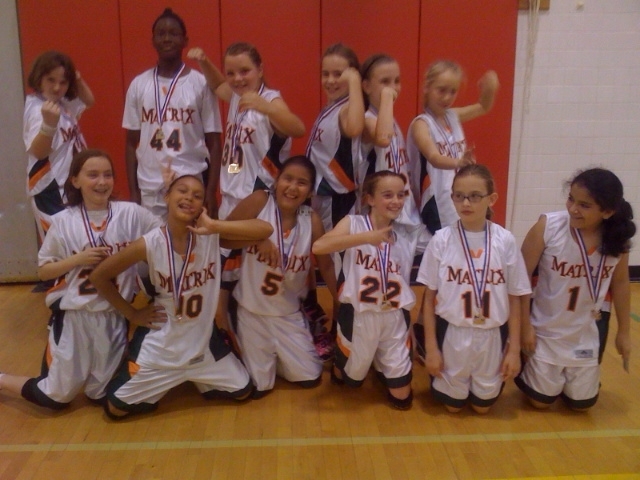 The Matrix 2019 Black/4th Grade team defeated defending gold medalist Team Sol 37-26 in the Grade 4 DQT to earn the first Matrix Division I gold medal in the club's history! The Matrix 2019 Black team coached by Matrix president Liz Reed finished the DQT undefeated. To read a complete write-up on the team's gold medal DQT, click here to visit the 2019 Black homepage. Congratulations to all the 2019 Black players!!!! Last Updated: May 24, 2011.